The history of humankind is replete with immense repression and exploitation. May Day or the International Workers’ Day commemorates the heroic struggles of the vulnerable people, especially the working class, who fought against the capitalist repression and exploitation. 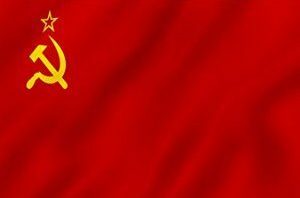 Today, when we visualize May Day the things that to come to our mind are the red flag, communism, trade unions, strikes, former Soviet Union, China, Maoists, violence and the list goes on and on. May Day, however, is native to America and it has its roots in Haymarket massacre, where the workers who went on a strike protesting against long working hours, precarious working conditions and distressingly low wages were brutally suppressed. Their peaceful demonstrations were sabotaged by the capitalists, and as a result innocent workers and civilians lost their lives. The repression was followed by illegitimate judicial proceedings, which made a mockery of justice and resulted in the hanging of the trade union leaders who had nothing to do with the violence. Today, if many workers, especially in the organized sector, are enjoying better pay, safer working conditions and shortened working hours, it is the result of a long drawn out struggle and the supreme sacrifices of many revolutionaries. Even in this twenty-first century, the repression and exploitation is far from over and it continues unabated, especially in the unorganized sector. The wealthy continue to accumulate wealth at the expense of the working class and the social justice remains a mere mirage. The communism, which fought for the rights of the working class and the social justice, appears to be on the wane. Many people, especially those who have a capitalist bent of mind, accuse the communists of being authoritative and being responsible for a lot of bloodshed in the name of fighting for the rights of the poor and the downtrodden. They even feel that Communism is actually a dead horse which can’t be revived. The situation, however, appears to be different. The world once again has gone into the hands of a small group of free market capitalists, who accumulated mind-numbingly enormous wealth. They are trying to influence the governmental policy making to create a world where they can operate the way they want. They want the governments to shelve environmental and labor laws and give them a free hand to run their businesses in an exploitative and repressive manner. They are even conspiring to do away with human element in the production and install the IoT enabled and Artificial Intelligence (AI) capable robotic hands with the avowed intention of maximizing their profits. If we look at the distribution and the consumption of resources between countries, we see that 20 percent of the world’s people consume about 80 percent of the world’s monetized resources, such as minerals, fossil fuels and diverse consumer goods, while 80 percent of the world’s people consume only 20 percent of the monetized resources. However, if we look closely at the Third World where 20 percent of the resources are consumed, we find that a similar pattern is repeated inside those countries. That is within the Third World, 80 percent of the people get only about 20 percent of the resources. Thus, when we take national as well as class differences into account, we find that about one-third of the world’s people consume 96 percent of the resources and about two thirds of the world’s people consume only about 4 percent. This concentration of economic power is perpetuating the poverty on this mother earth and the situation will only deteriorate further as the humanity moves along. There is no doubt the capitalism’s obscene pursuit of wealth will prove to be its death knell one day. Well, will capitalism be replaced with communism? May or may not. But Marxist theory will definitely play a lead role in building an alternative system of economic governance that will be replacing capitalism. The world, therefore, needs communism more than ever before. The unfortunate thing is the communists are not in a position to provide leadership to the people, who are yearning for a better and more equitable world. And the people, as a result, are tilting towards the right wing nationalists who are bent on guiding the humankind towards an ultra conservative, isolationist world. The emergence of Modi and Trump, and many other far right leaders in Europe is a manifestation of this phenomenon. There are many people in the society who don’t like any discussion or debate on economic inequalities and rampant poverty. They invariably come up with the justification that the wealthy are very clever and smart and they grew wealthy through their entrepreneurial abilities. They also have the audacity to say that the poor are stupid and lazy and that is the reason behind their poverty. This arrogance and the inability to understand the nuances of this complex human society reflects their inhuman nature. May day is undoubtedly the true festival of the vulnerable people, especially the working class. It is far more important festival than the various myth-laden, illogical and irrational religious festivals celebrated by the people in this world. Therefore, on this auspicious day, let us pay our rich tributes to the martyrs who fought against the capitalist repression and exploitation to improve the lives of the working class. This entry was posted in Society and tagged exploitation, May Day, repression, workers on April 30, 2017 by Dr. Ramachandra Reddy.